The 400 will serve as the final race of the regular season, determine the regular season champion and set the field for the NASCAR Playoffs, which begin the following weekend at Las Vegas Motor Speedway. 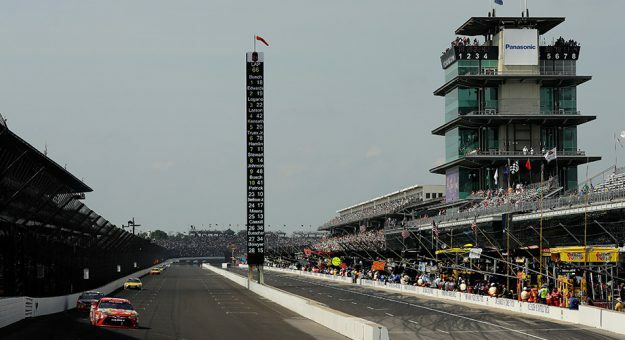 “The Brickyard 400 has been one of NASCAR’s premier events for 25 years, and we’re thrilled the race is moving to one of the most important dates on the NASCAR calendar,” said J. Douglas Boles, IMS president. “Our fans will love the excitement that comes with crowning a regular season champion at The Racing Capital of the World, and the cooler temperatures of early September will make the race more enjoyable for everyone. More details about the 2018 Brickyard weekend schedule, including the Lilly Diabetes 250 NASCAR XFINITY Series race, will be released soon. The Brickyard 400 has taken place in late July or early August every year since the inaugural race in August 1994. The 2017 Brickyard 400, which includes the Lilly Diabetes NASCAR XFINITY Series race, is scheduled for July 21-23 at IMS. Tickets are available at IMS.com. For more information about the Brickyard 400 and other IMS events, visit IMS.com.